One of the ways to recognize ice cream with natural ingredients is by the color of pistachio ice cream. You see, the natural color of pistachio ice cream is brownish green, so when it looks bright green it means that food coloring has been used. The ice cream will be greener if the skins around the pistachios have been removed meticulously (for which I was too lazy). 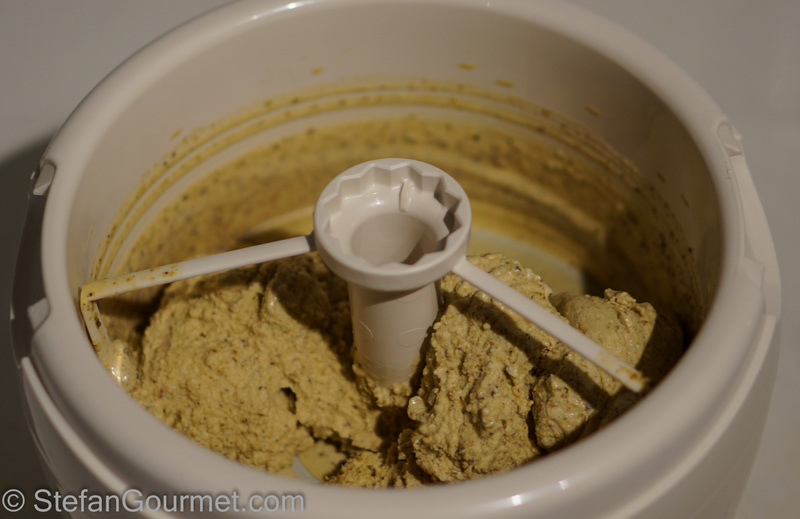 Making your own pistachio ice cream is very simple if you own an ice cream maker and a food processor. 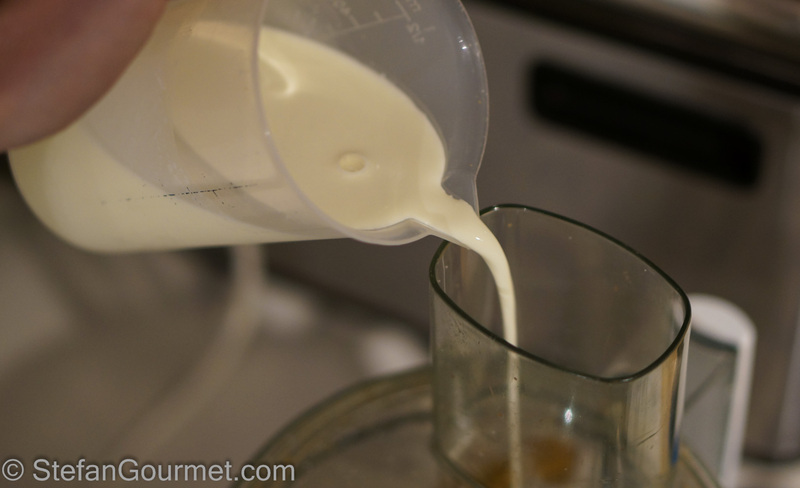 For this recipe I’ve used half the quantities of the recipe that ChgoJohn posted, but an even simpler preparation without heating the milk. The resulting ice cream had a very deep pistachio flavor and an interesting texture (a bit like semifreddo) as I had not ground the pistachios to a very fine powder. Thanks for the inspiration, John! 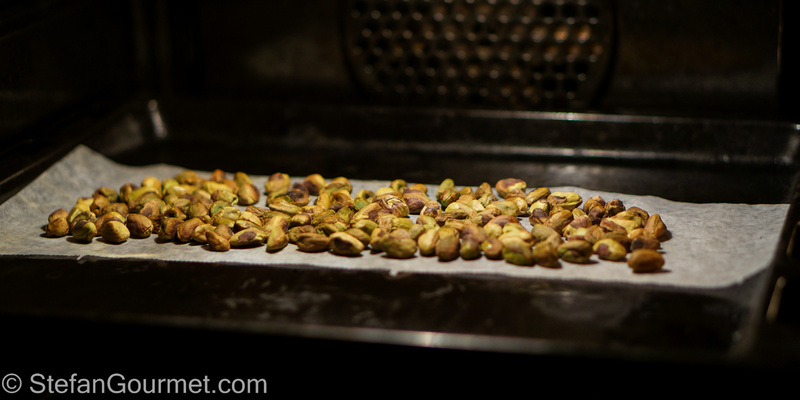 Roast the pistachios for 7 minutes at 180ºC/350ºF on a baking sheet lined with parchment paper. Allow to cool. 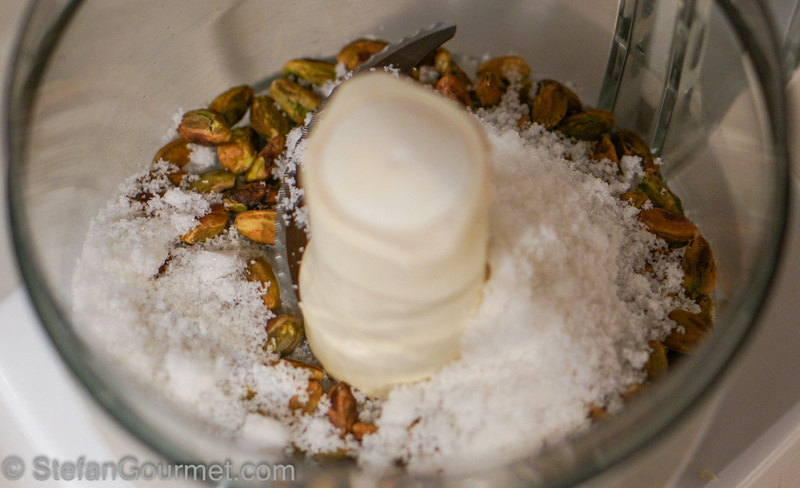 Put the pistachios in the food processor with the sugar. Process to a fine powder. 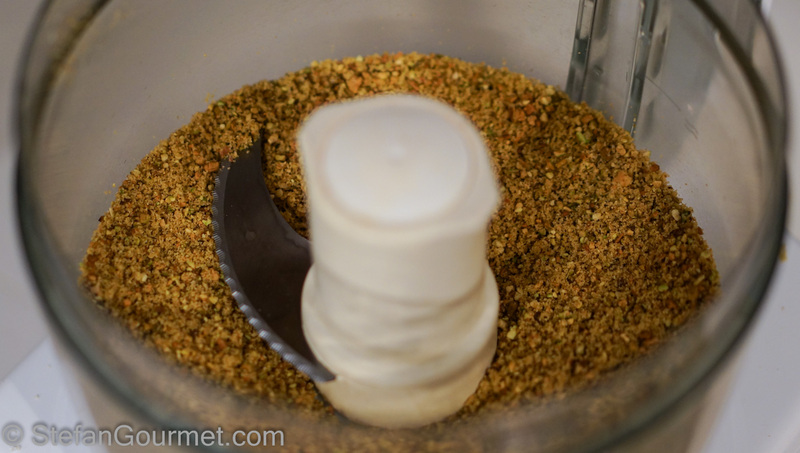 My food processor didn’t get it any finer than this, which meant that small grains of pistachio could be noticed in the ice cream. 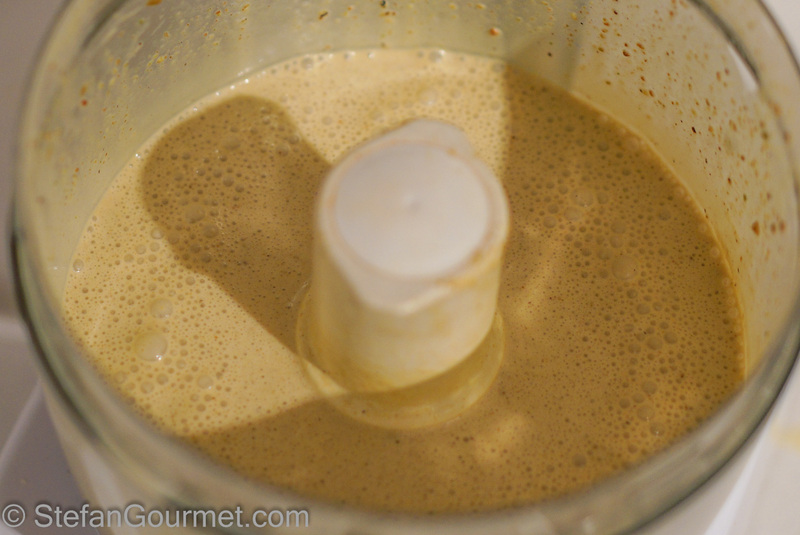 Turn on the food processor and slowly add the milk, cream, and vanilla. 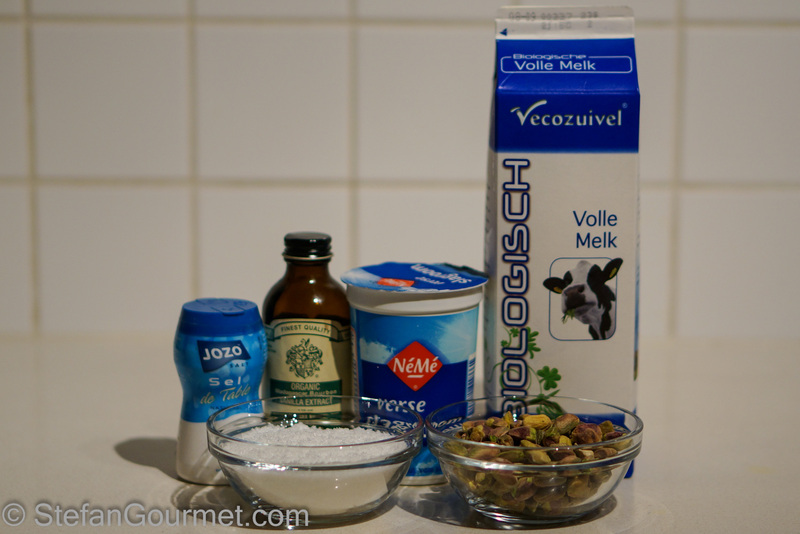 Allow the resulting mixture to cool in the refrigerator. 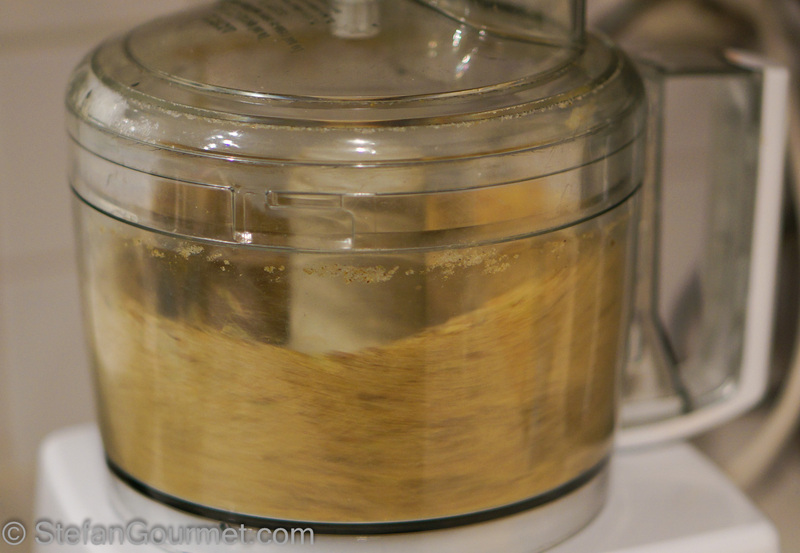 When the ice cream is ready, transfer it to a plastic container and freeze for a couple of hours. If frozen for longer, allow to warm up a little for half an hour in the refrigerator before serving. 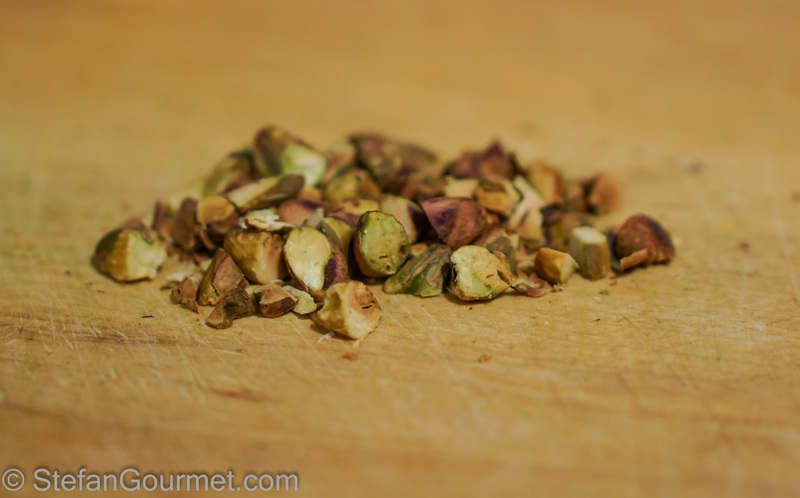 Roughly chop the pistachios for garnish. 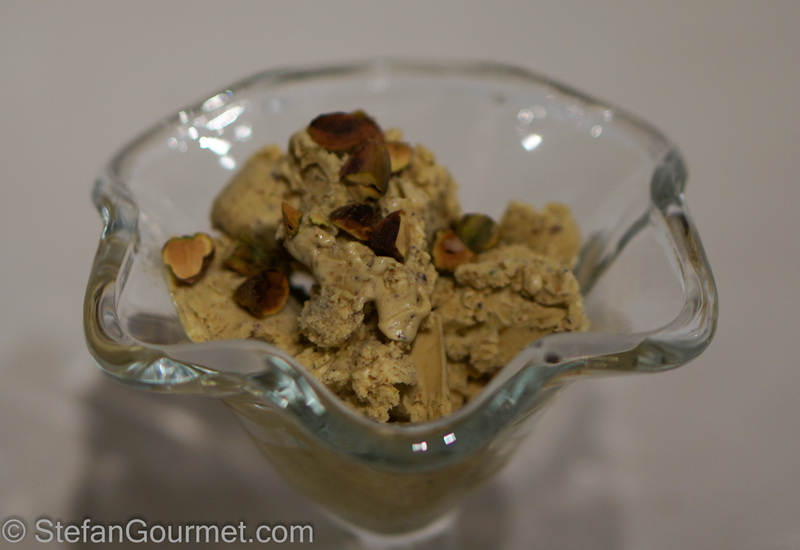 Serve the pistachio ice cream garnished with chopped pistachios. 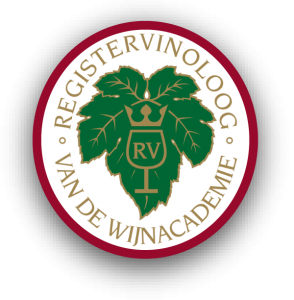 This pairs well with a sweet dessert wine with notes of nuts and citrus, such as passito di pantelleria or vin santo. 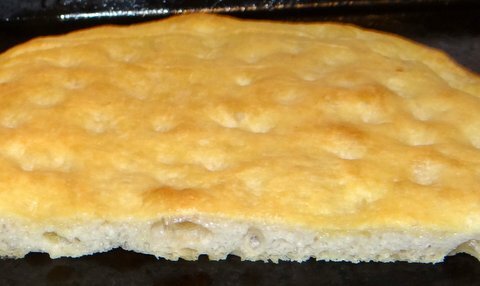 Fresh homemade focaccia alla Genovese is wonderful, even without toppings. Very nice Stefan. Great that you are clear about the high green colour of others. I imagine this is very tasty. It was with a very nutty flavor. I will try to do a better job at removing the skins next time. I just love pistachios! I would be too lazy to peel them too. I bet it was delicious! It sure was. Next time I’ll try to rub off the skin with a cloth after roasting, perhaps that won’t be so much work and it would be nice if it were a little more green. I can find shelled ones, but they are not skinned at all or not skinned well. Great recipe, Stefan, and thanks for the shout out. You’re right about the green color of pistachio gelato and it’s my “test” to see if a gelateria is a good one.